Insights on technology and real estate. “We’re under no obligation to do anything with their partners, but if there are developments or buildings we want to go into with their partners, that’s fantastic, that’s a win. For us that’s something that is going to evolve as we open more locations here,” he added. The rise of digitally-native brands has fundamentally altered the retail landscape. But these companies are also quickly recognizing the transformative value of offline. Today, over 90% of retail sales still take place in the physical world. Given the unparalleled reach and unique engagement offered by brick and mortar, many digitally-native brands are embracing a truly omnichannel model. Some are even going offline from the beginning. Heyday is an innovative, digitally-enabled brand transforming the beauty and wellness industry. The three-year-old company is upending the 17 billion dollar United States skincare market through both in-person, customized facial treatments and a curated mix of at-home skincare products. The company delivers expert skincare with a human touch across five Heyday studios in New York as well as one in Los Angeles, and HeydaySkincare.com brings its unique assortment of curated beauty brands and products online. Given Heyday’s inventive Built World model, Fifth Wall is excited to lead the company’s $8 million Series A financing, and further support its omnichannel growth. Fifth Wall is joined by returning investor Lerer Hippeau Ventures and welcomes new investors M3 Ventures and CircleUp Growth Partners. 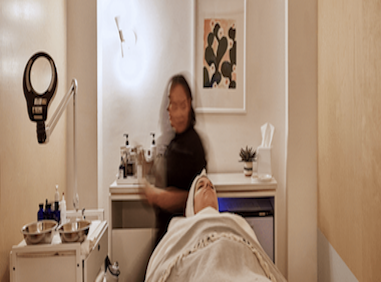 Heyday's clearly offline facial treatment is the cornerstone of its business, but the digitally-enabled customer journey quickly departs from traditional brick-and-mortar models. Heyday customers start online—98% of appointments are booked through HeydaySkincare.com—and continue with a digital survey that gathers their skincare routines, personal preferences, and lifestyle factors. This forms a holistic, highly detailed view of each customer's skincare needs in order to provide both customized facials in person and tailored recommendations online. The company leverages products and techniques used in Heyday's facial treatments, as well as product purchasing histories, to form digital profiles that deepen Heyday’s understanding of each customer. In aggregate, this digital model is even more powerful; since launch, Heyday has provided over 200,000 facial treatments and sold over 100,000 skincare products—and each data point has improved the company's macro insights across skincare products, techniques, and preferences. The Heyday experience, which has garnered a cult following, is a testament to that. From its founding, Heyday has used real estate to strategically drive its business. Spending about 75% less on advertising than the typical digitally-native brand, the company instead uses artfully outfitted and methodically located facial studios to reach its customers. 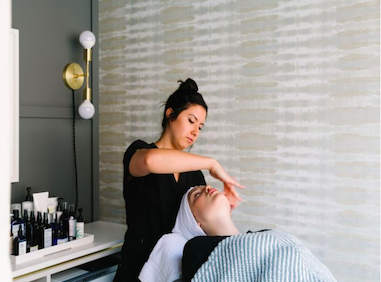 Being located in the right space, on the right block, and in the right neighborhood has allowed Heyday to embed itself into the fabric of the communities it serves, becoming an essential component of its customers' skincare routines. Fifth Wall’s network of the largest retail real estate owners and operators in the United States all want brands like Heyday to succeed. Whether it's providing advantageous leasing terms, value-added services around design and build, or guidance on long-term brick-and-mortar strategy, our Anchor LPs are supporting and accelerating the most innovative companies in retail. Ultimately, Fifth Wall is helping counterparties become partners aligned around a common vision for the Built World future in general, and the retail industry in this specific case. The retail-focused investors on Fifth Wall’s team, led by Kevin Campos and Dan Wenhold, provide another dimension of support to digitally-native retailers and their real estate partners. Each having led offline operations for digitally-native brands prior to joining Fifth Wall, Kevin and Dan are able to share first-hand experiences and insights, as well as identify emerging trends and valuable learnings from the industry's latest developments. As an addition to Heyday's board of directors, Kevin will support the selfcare startup as it expands its national retail operations. Powering this visionary remodeling of skincare is an exceptional team with deep consumer experience. Co-founders Adam Ross and Michael Pollack built this concept from scratch, drawing on their respective beauty and agency backgrounds. Heyday's new COO Ashley Peterson, who hails from digitally-enabled restaurant (and recent unicorn) Sweetgreen, brings hands-on experience scaling a beloved omnichannel concept to nearly 100 locations. Heyday not only reflects the dynamic disruption of beauty and wellness, but also the renaissance of retail. As digitally-native retailers lead the way with fresh concepts, brands, and online experiences, many in that cohort are pivoting back to the Built World to reach, engage, and grow their followings—scalably and profitably. Heyday has embraced an omnichannel philosophy from day one, leveraging brick and mortar to accelerate its business, while still innovating across all customer touchpoints. With our industry-leading consortium of real estate owners and operators, Fifth Wall is uniquely positioned to meaningfully influence Heyday's outcome through unparalleled connections and support, as well as deep operational retail expertise. Fifth Wall is thrilled to support Heyday as it transforms the future of retail. Oct 23, 2018 — WiredScore, a New York-based real estate tech firm that certifies office buildings for internet connectivity, has raised $9 million in Series A funding, according to an official release. WiredScore, a New York-based real estate tech firm that certifies office buildings for internet connectivity, has raised $9 million in Series A funding, according to an official release. The funding was secured from Bessemer Venture Partners, Los Angeles-based Fifth Wall, Sterling Ventures and commercial real estate investors including Legal & General, KingSett Capital, U+I, Town Centre Securities, Momeni Digital Ventures and Savitt Partners. Last October, an investment group led by Bessemer and Fifth Wall, acquired WiredScore’s majority share when company co-founder Jared Kushner divested, which Forbes estimated was valued at between $5 million and $25 million, based on Kushner’s financial disclosure form that July. The $9 million funding follows a flurry of global expansion for WiredScore, which during the first three quarters of 2018 entered eight new cities—Chicago, Atlanta, Montreal, Glascow, Birmingham (UK), Marseille, Frankfurt and the Reinhart Westphalia region (Dusseldorf and Cologne) —and seen a 45 percent increase in certified buildings. WiredScore was founded in New York in 2013, launched in the UK in 2015. Clients include EQ Office, Brookfield, Hines, Tishman Speyer, Boston Properties and Google. The current investment will be geared toward expansion into new markets, including Dallas and Los Angeles, new product and service areas and additional employees, according to WiredScore. WiredScore launched Wired Certification, which rates the infrastructure, connectivity and tech capacity of commercial buildings, in 2013 in partnership with then-Mayor Michael Bloomberg and the City of New York. 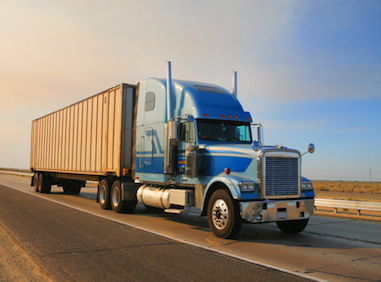 Despite being a $900 billion industry in the U.S., the over-the-road freight industry remains almost wholly unchanged since the advent of trucking in the mid-1900s. The space is ripe for new, tech-enabled freight shipping and brokerage solutions creating seamless experiences for both shippers and recipients. Although various niche aspects of the industry have been addressed, Shipwell has emerged with the first end-to end solution accounting for every stage in the freight shipping chain. Shipwell has the trifecta needed to become the category king in the crowded space of tech-enabled freight logistics - the right team and the right strategy at the right time. Fifth Wall is excited to announce it's leading Shipwell's Series A round to continue streamlining and modernizing the freight brokerage industry. With this investment, Fifth Wall principal Vik Chawla will also join Shipwell's Board of Directors. Other global investors participating in the round include First Round Capital, Base 10 Ventures, Capital Theory and Village Global. Founded in 2016, this investment round brings Shipwell's total funding to date to $12.1 million. While the outlook for the American economy is bright, underpinning its growth are outdated services organizing a national network of trucks zig-zagging America's highways and delivering billions of dollars of goods every day to customers and businesses. Shipwell saw a better way. At its core, Shipwell combines transactional shipping with a SaaS platform to connect freight carriers with brokers and shippers. It provides real-time quotes as well as shipping management and tracking capabilities so businesses and their customers get faster shipping, better visibility, and competitive prices. Where is the link with Fifth Wall? Shipwell's full-service, digitized brokerage platform can streamline the way many of our strategic real estate Anchor LPs and portfolio companies approach large-scale freight shipping. There is great potential for relationships in the industrial space for our Anchors. In addition to the obvious use case for Shipwell customers who own warehousing, landlords can use Shipwell to become effective facilitators for their tenants. Some Anchor LPs are already engaged in this shipping ecosystem on behalf of their tenants, while others act as transport hubs. Beyond these, however, there are easy tie-ins within a number of key categories of Fifth Wall Anchors that regularly ship or receive freight - developers, of course, but also our retail, office, and homebuilding partners. There are also natural synergies between Fifth Wall portfolio companies and Shipwell. For startups developing increasingly expansive e-commerce businesses across the U.S., Shipwell can build out parts of its product to address the needs and major pain-points of fellow portfolio companies. With the size of the national freight shipping industry continually increasing, there are countless opportunities for integration of Shipwell's logistics and freight brokerage services with our growing number of portfolio companies. Ready integration with our strategic Anchors and portfolio companies is just one of the key areas dictating Fifth Wall's interest in a startup. There is also the trifecta of a perfect opportunity, when a startup enters a category at the right time, with the right strategy, and with the right team. A staggering 80% of all physical goods in the U.S. are on the back of a truck at some point, but the process of quoting, booking, and tracking those trucks is still incredibly manual. Undeveloped and backward technology in a laggard, multi-billion dollar industry has created a vortex of incredible potential. Shipwell's easy-to-use online platform - already shipping for everyone from Fortune 100 companies, like Shell and Samsung, to technology startups like Lumi - comes at a time when e-commerce shows massive year-over-year growth and businesses need a way to ship freight as effectively as sophisticated companies like Amazon. 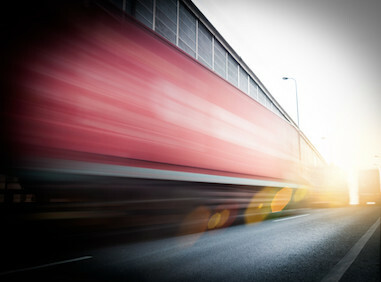 Given the state of the market, Shipwell has taken a smart approach to the the freight brokerage landscape. While new entrants are actively seeking to disintermediate brokers from the freight ecosystem, carriers, shippers, and brokers all benefit from use of Shipwell's platform. Shipwell links into the API of over 500,000 freight carriers across the U.S., allowing freight brokers, carriers, and shippers (i.e. retailers, wholesalers, etc.) the ability to quote, book, dispatch, remit payment, and send invoices in real-time through the cloud. By acting as a friend and end-to-end "breath of fresh air" for the entire existing market, Shipwell is poised for positive disruption of the tech-enabled freight logistics space. Fifth Wall's investment in Shipwell is about more than simply investing in a shipping company, but rather a chance for our Anchors and portfolio companies to be a part of what we see as a crucial aspect America's continued economic growth. Fifth Wall can significantly influence Shipwell's outcome given our extensive network of retailers, as well as retail and logistics real estate owners. They are the preeminent player developing long-needed technologies which will advance and modernize a space pivotal to the American economy. As the number of goods shipped by individuals and businesses continues to increase, Fifth Wall is excited to play a part in digitizing the future of the freight shipping industry. Oct 09, 2018 — Shipwell, a startup pitching a marketplace for domestic ground shipping and fleet and cargo management services for freight trucking companies, has raised $10 million in a new round of funding. Shipwell, a startup pitching a marketplace for domestic ground shipping and fleet and cargo management services for freight trucking companies, has raised $10 million in a new round of funding. A booming American economy coupled with failing infrastructure and a low-margin business reluctant to adopt new technologies have put stress on domestic logistics companies in the $900 billion market for U.S. trucking services. Shipwell combines a marketplace for shippers to connect with freight companies and online tools to manage those shipments. In effect, the company is pitching a version of the proprietary logistics management toolkit that has made Amazon so successful, to any retailer or outlet. “We coordinate the freight, we pay the truckers, we help optimize the fleets,” says Shipwell president and co-founder, Jason Traff. Those services — and the company’s growing business among small and medium-sized suppliers to the construction industry — brought the Austin-based company to the attention of Fifth Wall Ventures, the Los Angeles based investment firm whose limited partners are among the biggest construction companies in the world. For Fifth Wall the opportunity was clear. “Shipwell’s full-service, digitized brokerage platform can streamline the way many of our Anchor LPs and portfolio companies approach large-scale freight shipping,” the firm’s principal — and newest Shipwell board member — Vik Chawla wrote in a blog post announcing its most recent deal. Fifth Wall led the company’s Series A round, which also included the new investor Global Founders Capital and previous investors First Round Capital, Base 10 Ventures, Capital Theory and Village Global . The company’s business isn’t for big shippers that deal with thousands of shipments per-day, but rather the small and medium sized businesses that spend $100 million or less per-year on freight. And the small-fleet shipping companies that make up the bulk of the industry. It hasn’t been a straight road for Traff and his co-founder Gregory Price. Traff originally got the startup bug in Asia, where he launched a company that would sell low-cost copies of old masters paintings. When he sold that business he moved back to the U.S. and pitched an idea to Y Combinator that eventually became Leaky, a car insurance company. When Leaky shut down and its business was acquired by Navion in 2013, Traff moved to Austin to figure out his next move.I t was there that he ran into a fellow Massachusetts Institute of Technology alumnus named Greg Price and the two began hatching schemes for the company that would become Shipwell. The two men began planning the business in 2016 and only launched the service in the beginning of this year. “Supply chains were very complex and there was a lot of building to do,” Traff said. Shipwell makes money by charging a commission on freight services and fees for its freight management software platform. Oct 04, 2018 — Fifth Wall's newsletter covering the latest in technology for the built world. Fifth Wall's newsletter covering the latest in technology for the built world. The recent entry of tech heavyweights into the modular industry foreshadows significant advancements that have the potential to catapult modular into the mainstream. Although the single-family home modular industry has seen activity for years now — evidenced by the many startups in this space, among other activity (Japan is the current leader in this space, in 2016 15%+ of all new homes and apartments built were prefab, versus 2% of all new single family homes in the US) — the movement was all a bit too early. We believe future growth will come largely because of advancements in not only the appearance of these homes and the ability to hit a sweet spot in an existing upper middle-class housing market, but also by augmenting today’s constrained labor force with scalable growth through automation and robots. Amazon’s recent investment in Plant Prefab plants a metaphorical flag in modular as a significant element of the company’s overall distribution strategy, which will build out comprehensive ecosystems for smart homes and digital automation. By integrating smart home devices and technology into the foundational level of residential homes, the Amazon and Plant Prefab pairing signals a unique opportunity for Fifth Wall LPs to innovate alongside technology companies, rather than operate in competitive opposition to the coming changes. Amazon’s investment in Plant Prefab comes from the $100M Alexa Fund, and we see this as one of many bets Amazon will make in the space to build a grand ecosystem of connectivity within existing and emerging systems. Though we’re still early days — or, Bezos’ famous Day 1 philosophy — we believe Alexa in the home is just one part of a broader strategy to integrate Amazon into people’s homes and lives. To corner its lead in smart home connected devices, Amazon has also made other key strategic moves. The company partnered with major real estate owners and operators (like AvalonBay) to take control of package rooms through Amazon Hub, a move that will improve residents’ experience receiving their many deliveries. By securing its billion plus dollar acquisition of Ring, which makes smart home technologies like video cameras and doorbells, it now has the technology for seamless deliveries inside the home. Further, Amazon’s existing strategic partnership with Lennar (a Fifth Wall LP) acts as a critical point of distribution for the company, allowing it to equip new homes with built-in Wi-Fi, smart locks, doorbells, thermostats, and lights — all controlled by Alexa. The fact that Amazon’s voice-activated digital assistant is built into new Lennar homes gives both companies a competitive moat in the smart home race. Collectively, these moves showcase what Amazon can provide — particularly Alexa and voice service developments — in apartments and single family homes. Plant Prefab manufactures higher-end custom homes that appeal to Amazon’s target demographic. Those cookie-cutter modular homes of decades past, don’t even begin to encapsulate the potential. High-end, customizable designs not only look great, but the integrated smart technology offers a forward-facing appeal aimed squarely at those in the upper-middle income bracket, those willing to pay for unprecedented control, flexibility, and convenience in their homes. We see Plant Prefab’s strong focus on automation and connectivity as also strategically aligned with Amazon’s goals and the inevitability of a built-world future. Key Amazon products — namely Echo, Dot, and Show — will be integrated directly off the conveyor belt into Plant Prefab’s modular homes, giving these smart devices a needed infrastructure of power and integration that ensure easy and seamless use in the everyday lives of Amazon customers. Further, Plant Prefab is known as a green builder due to its reliance on sustainable products — the company sources building materials responsibly, with an emphasis on upcycled content, and recycles its own waste. This surely played a role in Amazon’s investment decision since modern consumers increasingly value sustainable architecture, design, and material. Large technology companies — the brands homeowners already know and trust like Amazon, Google, Apple, and Samsung — are concentrating tech innovation on the way people live in their homes, on augmenting the residential sector, whether single- or multifamily (and soon how we work with proposed future office integrations). The fact that these companies are working within existing business models is a welcome relief. So far, the wave of built-world residential changes are not disruptive to landlords and builders — nothing in this new trajectory takes away customers, tenant relationships, business, or margins (at least for now, though that may change in the future). While some home builders view Amazon as a competitor, Fifth Wall believes Amazon’s strong entry into the sector will be just one of many bets it will make in order to speed modular adoption. We view Amazon’s investment in Plant Prefab as an amazing opportunity for a number of Fifth Wall LPs — home builders and multi-families alike — to work with Amazon in a strategic capacity that accelerates the implementation of smart devices. It is our belief that real estate owners and operators should prepare for two major changes. First, home automation is coming in a massive way. Customer expectations about their home environment have rapidly changed in recent years. To remain competitive, owners and operators must be ready. Multinational companies with substantial balance sheets are already entering the space, all integrating smart home devices into the home and shifting customers’ expectations in the process. Second, we posit internet connectivity will become critically important as Internet of Things devices increasingly infiltrate every aspect of the home. Smart devices will operate most effectively in homes and buildings where a purpose-built infrastructure effectively facilitates the connectivity of existing systems — it is crucial to think through the role of low frequency networks in the home, how to power them, and the supportive infrastructure these networks will need. Batteries still power many smart devices, and it’s not practical to expect a built-world future will hinge on the annual replacement of batteries — what would that even look like in the many 600+ unit buildings that currently house citizens living in cities all over the world? An ecosystem is developing that will solve these problems, and partnering with leading technology players to find the solutions is certainly the most cost effective and strategically sound play for real estate owners and operators. We see Amazon’s investment as a strong signal that single-family modular has emerged as a significant opportunity. With automation and robots supplementing constrained labor forces, lower costs will only continue to fuel growth. Amazon’s move in this sector presents huge opportunities for real estate owners and operators to tap into the coming wave of home automation. Fueled by the biggest heavyweights in tech, what real estate customers expect, require, and desire in a residence has moved steadily toward smart home connectivity and interoperability. Fifth Wall believes Amazon’s investments in Plant Prefab and emerging home automation technologies signal a boon, not a threat, to real estate owners and operators (at least currently). Rather than follow the perceived role many tech companies take on industry disruption — to play rough and take over the industry’s trajectory (in this case, build modular directly) — Amazon brings the benefits of a big technology company to bear on the residential real estate market in a way that maintains existing real estate owner operator business models. The backing of a trillion dollar tech titan may be just the kick the modular industry has needed to be thrust into the mainstream as a proven and desirable construction method. Sep 19, 2018 — Fifth Wall's newsletter covering the latest in technology for the built world. Sep 19, 2018 — The CRETech Los Angeles event held last week Downtown dove into the nuances of tech integration in the commercial real estate industry. 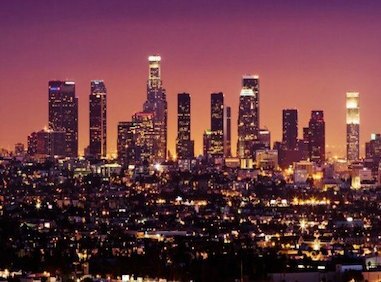 The CRETech Los Angeles event held last week Downtown dove into the nuances of tech integration in the commercial real estate industry. Sep 03, 2018 — Major investment managers are opening their checkbooks, and portfolios, to a two-year-old firm set on finding startups that will reshape the asset class. In 2016, Brad Greiwe and Brendan Wallace faced a problem familiar to many first-time fund managers: potential limited partners had little interest in their debut venture capital vehicle. Two years and a $212 million top-performing maiden fund later, the duo face the opposite problem: handpicking limited partners to participate in their second fund. 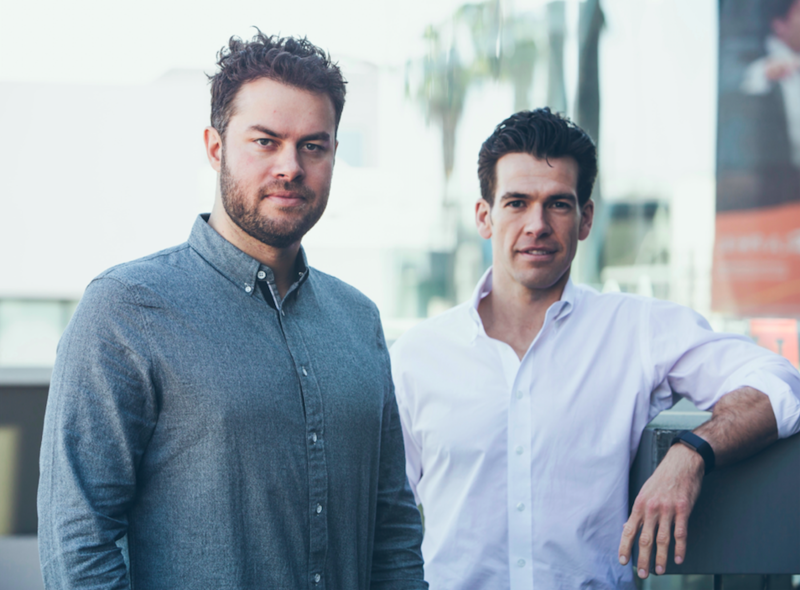 In between its two vehicles, the real estate world seemingly woke up to the vision Greiwe and Wallace built their VC firm, Fifth Wall, on: real estate has long ignored technology, but to do so now means it risks being left behind. Funds for sector-specific technology abound for agriculture, education and other seemingly more niche industries than real estate. The Fifth Wall founders – who each have experience in real estate and technology – identified a market ripe for disruption. Interest in property technology has begun to accelerate. VC spending increased from $2.42 billion in 2015 to $1.91 billion in the first half of 2018, according to data provider CB Insights. Wallace and Greiwe have identified a few trends driving this interest. Over the last five years, they say consumer and sector changes have forced real estate to think higher-tech. Across property types, landlords have adopted a more customer-centric approach to management, offering more amenities and more opportunities for tenant engagement. Existential threats – from sources few predicted – have also popped up, with Airbnb, WeWork and other startups-turned-mega-companies threatening traditional business models, though those groups own little or no real estate. In a longer cycle, real estate owners have shifted from buying low and selling high to focusing more on value-adding operations, typically enabled by technology. And for firms of all stripes, the money now cares. Investors, boards of directors and other stakeholders are asking managers about their technology strategies. “If you don’t have an answer to how technology is going to influence, enable or disrupt your business, you’re going to be in trouble,” Wallace warns. Wallace and his co-founder are betting that technological trends will only accelerate, as real estate plays catch-up to finance and other sectors that began evolving years ago. “It’s in our humble opinions that in 10-15 years from now, there will be no discernable difference between a technology company and real estate company,” Greiwe says. “If you’re still just a real estate organization, you’re going to be losing to your tech-enabled competitors.” Greiwe and Wallace share backgrounds that prove their thesis about real estate enabled by technology. Both came from real estate families and started at real estate investment banks before working with some of the largest private equity real estate companies. Later, Wallace co-founded two companies: a workforce optimization company that raised $33 million of venture capital and was acquired in 2014, as well as the largest ridesharing service in Latin America. Greiwe co-founded a Blackstone platform that relied on technology for deal sourcing and asset management: Invitation Homes, which would become a $12 billion single-family rental company. With those backgrounds, the pair identified not only massive underinvestment in real estate technology, but also a need for corporate buy-in. An in-house corporate VC arm, however, was not an appealing option, since they had seen too many fail across industries for lack of the right talent, incentive, operations and other problems. On the other hand, corporates offered sizable portfolios in which VC-backed companies could immediately scale; deep industry knowledge and relationships; and the power to sway peers’ technology adoption. For the best of both corporate and private VC funds, the co-founders put together a hybrid vehicle, which they claim has no equal across industries. Half of the fund’s limited partners are financial: Ivy League endowments, other university endowments and pensions that are investing out of a VC bucket, not out of real estate. The other half – which invest under the same terms as financial investors – are corporates acting as both capital partners and portfolio company accelerators. These real estate firms, chosen to represent facets of real estate – Hines for office, CBRE for property services, among others – work with Fifth Wall’s advisory team to evaluate the startup landscape and adopt what the groups deem the best technology. Some technology fits with just one strategic partner, but others, such as energy efficiency, can be broadly applicable, which helps widen the potential distribution funnel for the portfolio companies across the fund’s investors. Fifth Wall’s proposition partly rests on these marquee names – Hines, Equity Residential and others – adopting the VC fund’s portfolio companies’ technologies, making them the industry standard. Both types of investors benefit from the hybrid model, the co-founders say. “A generalist VC fund looks at their LPs every three years and says, ‘I lost money on a large portion of my deals but made a very high return on a small subset.’ This is in large part because most generalist VCs are forced to speculate if certain technologies will be adopted by the market incumbents,” Wallace says. The firm is making progress on its second fund, closing on $101 million against a $400 million target for Fifth Wall Ventures II in June, according to a filing with the Securities and Exchange Commission. The firm declined to discuss fundraising. Both funds invest in Series A, B and C companies – startups that have some proven technology. By category, Fifth Wall is investing in the overall “built-world environment.” That overarching term can encompass anything touching real estate, from construction materials to building systems to micro-mobility – a term used for Lime, one of its portfolio companies that offers shared bicycles and electric scooters. The firm’s most recent public investment was follow-on capital for Blueprint Power, a company that helps landlords sell buildings’ excess energy. No matter the portfolio company, the firm follows standard VC underwriting practices to examine a target’s financials, leadership and other elements. In addition, Fifth Wall considers three areas: asymmetric information, which often comes through corporate relationships; access, to avoid being squeezed out of funding rounds – though that has not yet occurred; and a unique ability to influence outcomes, typically based on partner relationships and the firm’s embedded business development team. At its outset, dealflow came from the firm or its corporate partners. Now, however, VC funds seeking out Fifth Wall have become the greatest source of deals. Wallace says relationships with generalist funds, which now look to Fifth Wall for anything built-world-related, are among the firm’s strongest assets. Houston-based Hines, which oversees $111 billion in assets, works with Fifth Wall to identify opportunities for its office-focused portfolio. Even if its fund investment does not perform well, the Houston-based firm gains knowledge and partnerships, says Charlie Kuntz, the firm’s head of innovation. Blueprint Power, Fifth Wall’s most recent investment as of press time, is betting it can bridge the landlords that generate excess energy through sources such as solar panels and the entities that could buy power. The New York-based startup, which raised a $3.5 million Series A financing round in late July, has built technology that uses machine learning to both manage the use of generated energy and to predict consumption needs and sell excess energy. Claiming a $400 billion opportunity, Fifth Wall joined a group of investors for the Series A including proptech-focused MetaProp Ventures, sustainability VC-focused Congruent Ventures and two partners at VC firm Union Square Ventures. The startup also overlaps with Fifth Wall corporate partner Lennar: Blueprint Power co-founder Robyn Beavers came up with the idea while working at Lennar, the company acted as a founding investor and Lennar’s president sits on the startup’s board. Blueprint Power envisions buildings of the future serving as next-generation power plants, with smart energy management systems, onsite generation and energy storage. Fifth Wall opened access to the full startup ecosystem, which Hines could not access on its own. Without Fifth Wall as an intermediary, engaging with startups is “a risky endeavor for us,” Kuntz says, noting Hines’ background is not in venture capital. Startups benefit from the partnership, too. Engaging with Hines directly without the Fifth Wall intermediary would be “way too cumbersome for these startups” because of Hines’ institutionalized nature. Hines identifies what problems it wants to solve or what it wants to create, then liaises with Fifth Wall to create a request for proposals. Hines evaluates respondents based on operations and quality, while Fifth Wall evaluates candidates from a financial perspective. Once the firms agree on the best candidate, Hines works on implementation. “It’s incumbent on us not just to enable our strategic partners by identifying technologies that allow them to do their existing business better, but it’s also to challenge them, in terms of bringing them ideas that might disrupt, dismantle or even re-invent some of their existing business lines or open up new business opportunities altogether that they may have never considered before,” Greiwe says. Kuntz adds that the partnership also benefits Hines’s investors, which are increasingly focused on technology. Fifth Wall’s model benefits more than solely its investors, its co-founders say. They have been approached by all the largest private equity real estate managers interested in technology and insights, including what the next big technology-enabled real estate investment opportunity, like Invitation Homes, could be. As traditional managers have these conversations, the lines between a private equity real estate fund and a VC fund are already blurring. Blackstone, for example, invested $3.3 million in portfolio management software VTS in 2015, using capital from its eighth opportunistic fund. In a $15.8 billion fund, that investment barely registers – but it indicates a shift in strategy from a traditional fund mandate. Fifth Wall is also investing in portfolio companies with heavy real estate needs, which could lead to opportunities for managers to provide what they already know: buildings. Clutter, a company that raised Series C financing last year from Fifth Wall and generalist tech VC firms such as Sequoia Capital, is one example. The firm transports customers’ items from home to a remote, underutilized industrial property, rather than a purpose-built self-storage building in a city center. Homebuilder Lennar’s investment management subsidiary, Rialto, also found an opportunity beyond Series D financing to work with portfolio company Opendoor, which buys single family homes from individuals. Rialto provided a mezzanine capital investment, which created an inventory line for Opendoor to buy housing stock at lower capital cost. As Fifth Wall continues expanding its startup reach, the firm is also broadening its investor base, looking to grow both the number and the caliber of strategic investors. Adding strategic investors internationally should help broaden portfolio companies’ reach, because the bulk of Fifth Wall’s investments to date have been North American-based startups that are now looking to expand abroad. The firm is also working with real estate investors for the first time in its strategic investor pool. Wallace says his team typically talks with both the head of real estate and the chief investment officer for such groups. “The bigger the asset allocator, the more important this collision between real estate and technology seems to be for them,” he says. Fifth Wall is also broadening the very definition of what proptech encompasses. “Looking to the future, our investment strategy will both include the obvious opportunities that we can all agree on is real estate technology, but it will also include situations where we can accelerate the growth of any business through real estate distribution and relationships,” Wallace says. The duo is confident that value proposition will be even more important if and when the market turns. “I think in the next downturn, most real estate organizations, knowing full well that trend has taken hold, are going to be looking to double down on technology or enter the space for the first time with the intent of coming out of that downturn stronger, faster, leaner, more tech-enabled by accessing this space in ways they hadn’t before,” Greiwe says. Even though the firm hasn’t yet turned three years old, Fifth Wall plans to be the trusted advisor to help these firms weather those storms. For now, just like any fund manager, its focus is on raising capital and putting it to work. Rather than buying, fixing and selling buildings, though, they’re planning to shape the future of real estate and technology as they go. Major investment managers are opening their checkbooks, and portfolios, to a two-year-old firm set on finding startups that will reshape the asset class. Uber Technologies Inc. and Alphabet Inc. were among the investors vying to back on-demand scooter company Lime as it raised funding at a billion-dollar valuation earlier this summer. 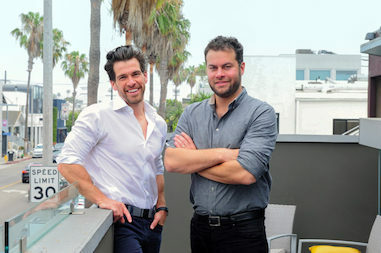 Joining the technology heavyweights in the round was Fifth Wall Ventures, a Venice, Calif., firm founded two years ago. Lime Chief Executive Toby Sun said Fifth Wall’s investment was just as strategic as the checks written by the big tech companies. Uber could feature Lime scooters in its app, and Fifth Wall could use its deep real estate connections to help Lime find parking for its bikes and scooters in high-density areas. Lime struck a deal with one of Fifth Wall’s limited partners, Macerich Co., which will help the company stage and park scooters in Scottsdale, Ariz.
“We immediately see their vision and their priorities as very much aligned,” Mr. Sun said. Fifth Wall Ventures Managing Partner Brendan Wallace said the firm believes it can determine which scooter company will win through real-estate partnerships. By working with large, established real-estate players such as Macerich, Fifth Wall aims to identify the startups that could shake up the real-estate industry while shepherding legacy property-owner firms through the sector’s digital transformation. Through partnerships like the one Fifth Wall brokered between Macerich and Lime, the firm expects to give startups a leg up against the competition while helping older real-estate firms keep up with the latest technology trends. Real estate startups aren’t necessarily technically complicated, but it can be challenging for them to gain distribution, Mr. Wallace said. He said institutional real-estate companies often determine which companies succeed or fail. Fifth Wall has backed more than 30 companies, ranging from co-working startup Industrious to homeowner insurer Hippo. The firm has raised at least $100.8 million for a successor to its debut fund, according to a June regulatory filing. Last year Fifth Wall’s first fund closed with $212 million. The firm is expanding its thesis with a new retail-focused fund that had raised at least $60 million as of May. Mr. Wallace declined to comment on the retail fund. Fifth Wall’s retail investments to date include Cotopaxi, Foxtrot and Untuckit. More direct-to-consumer startups that launched online are seeking out a street presence. Partners of Fifth Wall Ventures say these companies are countering the narrative that retail is dying. “Well-located retail real estate is not dying, and I don’t think it will die in any way, shape or form,” Mr. Wallace said. 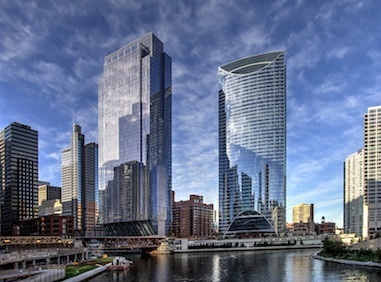 Foxtrot Chief Executive Mike LaVitola said he connected with Fifth Wall about a year ago to see if the firm could accelerate his company’s real-estate expansion. “We see having a bricks-and-mortar presence as an important marketing channel, distribution center and a way to increase customer loyalty and repeat purchases,” Mr. LaVitola said. Fifth Wall is raising new capital following a record year for deals in real-estate technology, as the industry braces for a digital transformation. In 2017, venture capitalists invested $5.33 billion in the sector, up from $1.6 billion in 2016, according to PitchBook Data Inc. The number of deals increased slightly, to 122 from 114. Aug 17, 2018 — Fifth Wall's newsletter covering the latest in technology for the built world.